Like most fashion school graduates, Gunjan Jain began working in the apparel export industry based in the urban centres of Delhi and Bangalore. But soon she was disillusioned with the industrial process of making clothes and their resultant commoditisation. Factory and assembly process of creating clothing lacked the collective union she wished to be associated with. That led to her packing her bags in 2007 to move to Odisha, where she set up her design studio Vriksh in Bhubaneshwar in 2008. 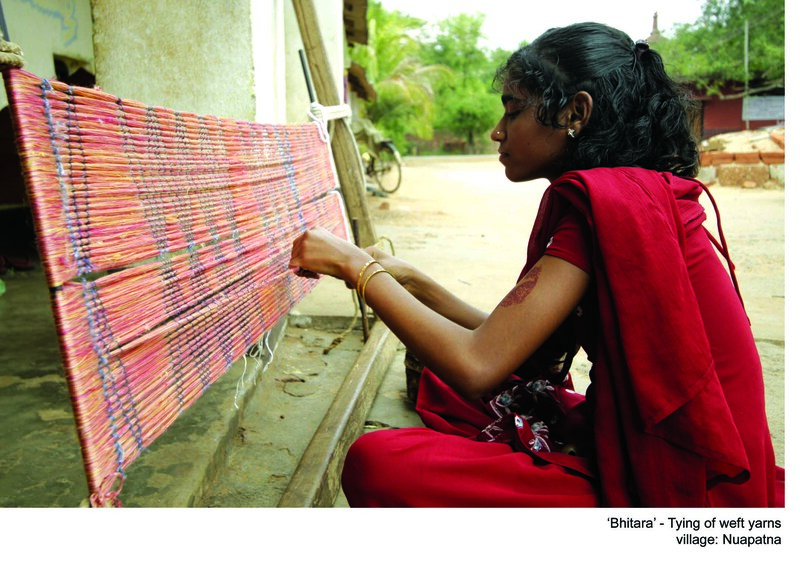 “Those early years in Odisha with one of the world’s oldest and greatest traditions of weaving changed my life. I dived head first into the world of the handmade”, she recalls. Ever since she began working with weavers in Odisha almost six years ago, Gunjan has stayed away from being a designer who just hands over sheets of papers to weavers to get the jobs done and instead has built an egalitarian partnership with them in the design process. For Vriksh, the weavers have been guides and teachers of the science of handloom, its techniques, the cultural significance of the motifs and colours. The weavers’ experiences, knowledge and wisdom on the beautiful tradition of weaving have been the underlying strength of each collection they have created together. “After years of being treated as mindless labourers I found that sometimes even the weavers believed they lacked creativity. Along with ensuring fair wages and a better marketing platform I had to constantly introspect for ways in which I could build, not damage their confidence”, she explains. Gunjan is constantly working with handloom weavers and artists to bring in contemporary aesthetics in its textiles, ensuring traditional designs are re-interpreted by retaining the values that existed and adding a fresh perspective to each piece. She refutes the claim that is often made about handloom losing favour among the populace. Working with a team of weavers’ groups in Odisha, Gunjan explores and blends native crafts with contemporary designs and aims at promoting traditional weaving communities in the State. Among the different weaving techniques and fabrics Gunjan and her team of weavers work with, Vriksh has intervened significantly in the famed tussar Jala work. 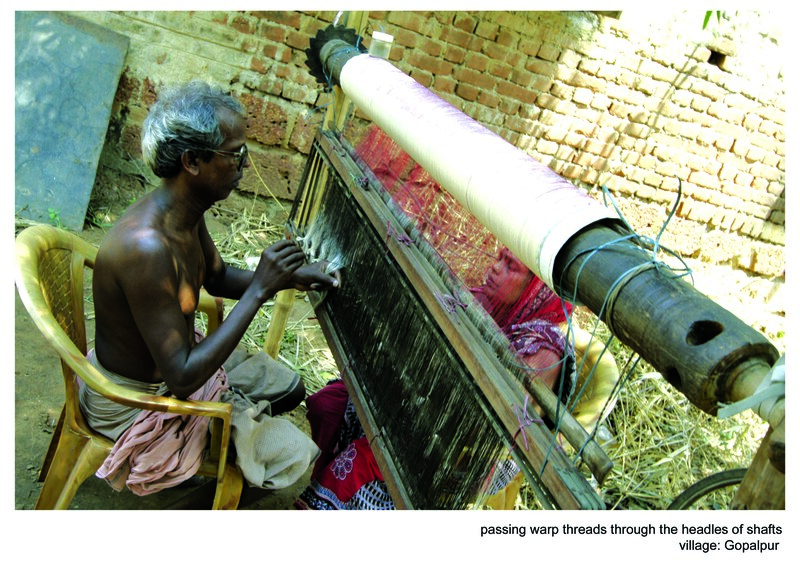 Wild tussar silk is mostly cultivated and hand reeled into fine tussar yarn by women in Coastal Odisha. 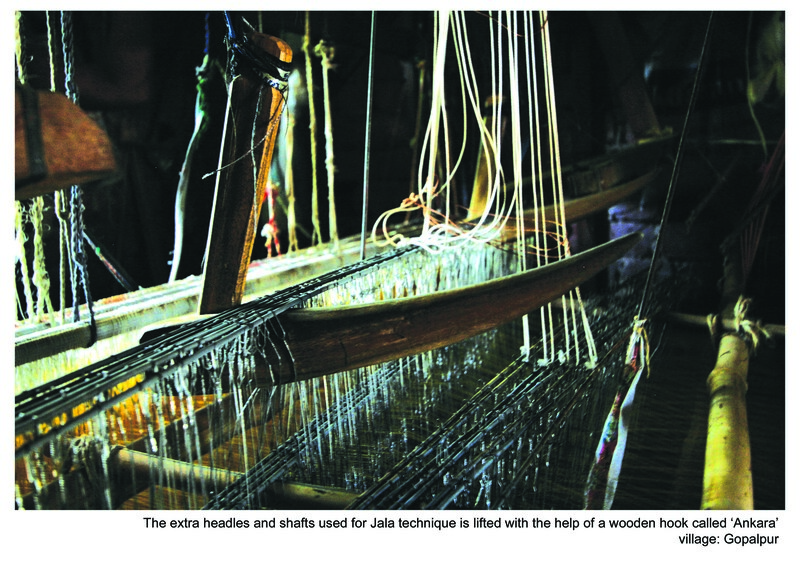 The highly skilled tussar weaving communities of coastal Odisha, with their famous extra weft motifs of fish and rudraksh in Jala techniques, have earned the patronage of Rajas in the past. Vriksh has been doing extensive research and developing new weave constructions to make softer tussar sarees and stoles combining it with different natural yarns. Through her work, Gunjan wants to bring in contemporary aesthetics in each design, but she also wants to ensure that traditional designs are not dismissed as redundant. Posted in Crafts, Odisha, Profiles, Textiles, Weaving, Women and tagged Designer, Gunjan Jain, Handloom, Heritage, Ikat, India, Indian Crafts, Indian Village, Interview, Odisha, Revival, Sarees, Silk, Textiles, Tradition, Tussar, Weaving, Women. Bookmark the permalink. I have loved Ikat saris for over 40 years when my mother gave my first one on our first anniversary. Handloomed is and always will be far superior to powerloom saris. How can you duplicate the fine details ? It’s like printed bandhini. Why bother?